Class of 1960. Dr. Wright began her career in nursing in 1966 when she completed the LPN program at Dixie Hospital School of Practical Nursing. After working for eight years as an LPN, Dr. Wright decided to enroll at Thomas Nelson Community College and graduated in 1973 with an ASN. Dr. Wright continued her employment at Hampton General Hospital in the operating room as staff nurse. Dr. Wright was hired as Staff Nurse in 1974 in the operating room at the Veterans Hospital. During her employment at the Veterans Hospital, Dr. Wright received her B.S. degree in 1979 and her Masters Degree in 1989 from Hampton Institute/University while raising three children and working full-time. Positions held by Dr. Wright during her employment includes staff nurse, nurse manager surgical unit, supervisor in the operating room, and Associate Chief Nurse. 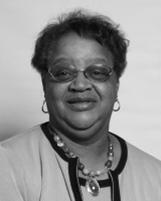 Dr. Wright’s career in teaching began in 1991 at Troy State University in Montgomery, Alabama as adjunct faculty. Upon retirement from VAMC in Montgomery, Dr. Wright was employed at Hampton University where she worked for twelve years. While employed at Hampton University she received another degree as Doctor of Education. Dr. Wright also taught two years at Norfolk State University. Dr. Wright returned to Hampton University in January 2010 as the Chair of the Department of Undergraduate Nursing Education and retied in May 2012. Dr. Wright's volunteer services include an active member of Sixth Mount Zion Baptist Temple where she proudly serves as an usher at the 7:00 a.m. service and a member of the Healthcare Ministry.